Reach the portal within ten lives and try not to die in unpleasant spots. 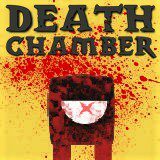 This death chamber is a real challenge that only chosen ones can complete. Be patient and deal with traps to reach the portal.